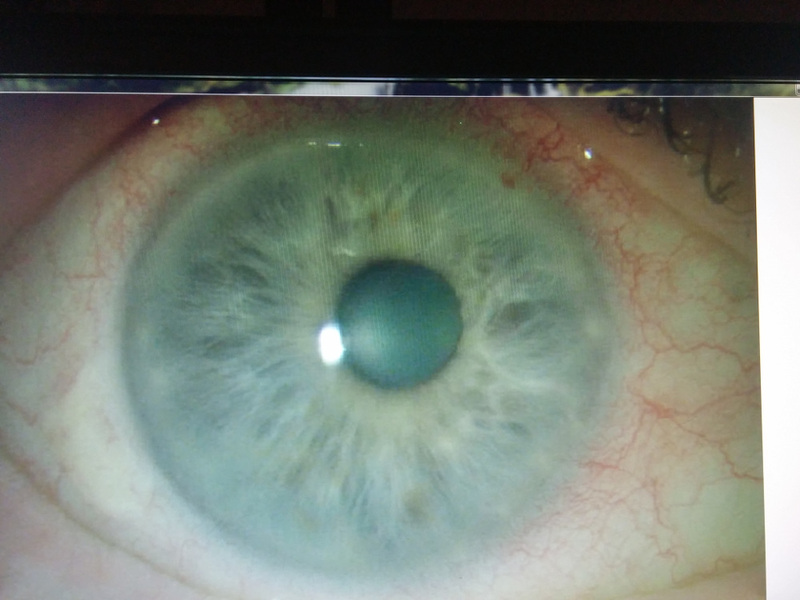 70 yeat old presents with 2 day history of eye pain, minimal redness, IOP 42 mm Hg and vision of 20/40 OD. OS was normal. 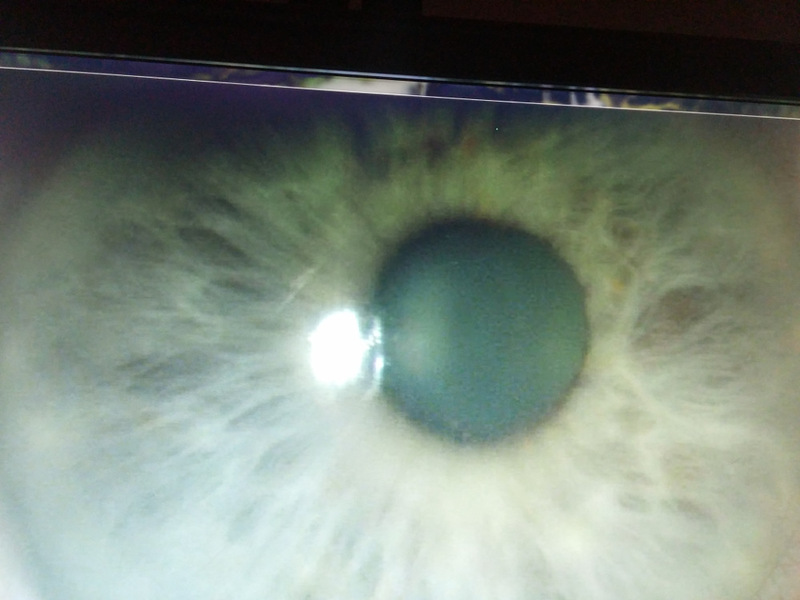 Slit lamp exam findings are as shown in the attached photos. AC deep with 1 + cells and trace flare. Angles were open to CBB. Treatment consists of topical pred drops QID along with topical and oral glaucoma meds. Some people use oral acyclovir as well. Usually resolves within 2-3 weeks.